JIPLP: Interflora: the last word on keyword advertising? 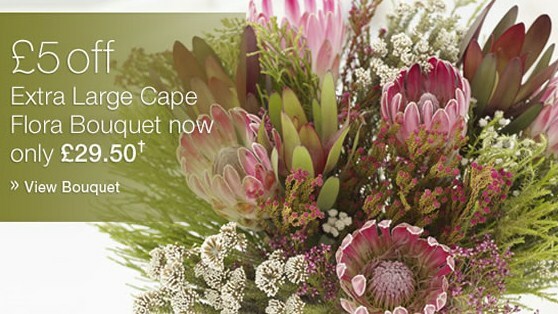 Interflora: the last word on keyword advertising? Several years of Court of Justice jurisprudence on the legality of an advertiser using a competitor's trade mark to trigger the display of sponsored listings on search engines have come to a conclusion. Having already largely approved the practice, the Court of Justice has now, in the interests of fair competition, declined to give famous marks any additional rights to prevent it. But uncertainties remain, particularly as regards the application and effect of some of the newly emerging functions of a trade mark. When European trade mark law was first put together, Google, along with most of the internet, was very much a series of twinkles in their eventual creators' eyes. It is thus hardly surprising that, some 20 years later, those laws have repeatedly struggled to cope with technological and commercial practices which were barely imaginable when they were drafted. Alongside online piracy, search engine keyword advertising is a prime candidate for trade mark law's biggest headache. In a series of judgments which are likely to conclude here, the Court of Justice (ECJ) has explained how the old laws apply to an entirely new form of advertising which has arrived to both the delight and the despair of brand owners. When consumers searched on Google for the term ‘interflora’, as well as seeing ‘natural’ results for the famous network of independent florists, they also saw sponsored listings—advertisements—for Marks & Spencer's online flower delivery service. This was because M&S had ‘bid’ on Interflora's well-known trade marked name, paying for its advert to be displayed when a user searched for its competitor. This practice, referred to here as ‘keyword advertising’, has been considered a useful advertising tool by some brand owners. Others, however, have sought to prevent it by asserting their trade mark rights. 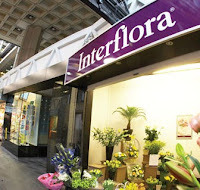 Interflora is one such brand owner: it sued M&S for trade mark infringement in the High Court of England and Wales. whether, without due cause, keyword advertising takes unfair advantage of or causes detriment to the distinctive character or repute of the trade mark used. Guidance on the first issue has been largely repeated from earlier ECJ jurisprudence, so contains few surprises. The second and perhaps crucial issue has now received its first full consideration. The ECJ did most of the hard work on keyword advertising in a set of judgments which began before Interflora commenced but which concluded after the High Court's 2009 reference: Joined Cases C-236/08 to C-238/08 Google France  ECR I-2417, 23 March 2010. Additionally, keyword advertising enjoyed consideration in Case C-278/08 Die BergSpechte  ECR I-2517, 25 March 2010; Case C-91/09 Eis.de, 26 March 2010; and Case C-558/08 Portakabin Ltd v Primakabin BV  ECR I-0000, 8 July 2010. Arguably, this body of jurisprudence rendered a proportion of the reference in Interflora redundant by the time the ECJ came to consider it (around half of the questions the High Court had originally posed were withdrawn in light of these decisions). Google France and the cases which followed it established that advertisers ‘used’ a trade mark when indulging in keyword advertising, and that such use was ‘in relation to’ the goods and services for which the trade mark was registered. The ECJ in Interflora confirmed this. Following a long line of ECJ jurisprudence stretching back to Arsenal v Reed Case C-206/01  ECR I-10273, Google France also held that, notwithstanding that keyword advertising involved use of an identical trade mark for identical goods or services—putting it squarely in the purview of Article 5(1)(a)/9(1)(a)—such use only infringed if it was liable to have an adverse effect on one of the functions of the mark. While everyone knows that the ‘essential’ function of a trade mark is as a badge of origin, the ECJ judgment in L'Oréal Case C-487/07  ECR I-5185, 18 June 2009, confirmed that trade marks have any number of functions. Three were considered in Interflora—only one need be affected for infringement—the essential function; the advertising function and the investment function. In Google France, the ECJ held that keyword advertising would infringe Articles 5(1)(a)/9(1)(a) in circumstances where the advert made it difficult for consumers to work out whether the advert originated from the trade mark proprietor or a person economically linked to it as opposed to some unconnected party. In such a case, the essential function of the trade mark—as a badge of origin—would be affected. The ECJ in Interflora confirmed this approach, considering it in light of Interflora's nature as a network of independent florists. Would the essential function of the mark be affected if internet users wrongly gained the impression from the advertising that M&S was part of the Interflora network? Yes, held the ECJ. However, it qualified this conclusion by noting that internet users are to be considered reasonably well-informed and reasonably observant and so it would not be enough if merely ‘some’ had ‘difficulty grasping that the service provided by M&S is independent from that of Interflora’. While this is ultimately a question to be answered by the national court on the facts, the ECJ's view was that, in the case of a network as large and diverse as Interflora's, internet users may find it ‘particularly difficult’ to work out whether an advertiser is in or out of the network. The ECJ thus hinted that in a case such as Interflora, it is up to the advertiser to make sure its advert uses sufficient words to enable the user to make the distinction. The greater the number of advertisers which bid on a particular keyword, the more it costs each of them to do so. Thus M&S's bidding on ‘interflora’ made it more expensive for Interflora to do the same, forcing it to either do less advertising or spend more on the same. That might appear a good basis for an argument for impairment of the ‘advertising’ function, but that argument has already been rejected by the ECJ in Google France. The ECJ in Interflora took the same view, although it stated that keyword advertising would not be adverse to the advertising function ‘in every case’, suggesting it might be in some. It then sought to justify its decision not to consider the above ‘repercussions’ as sufficiently ‘adverse’. Trade mark law, it said, was not in place to protect a proprietor against ‘practices inherent in competition’. Further, keyword advertising's general aim was to offer an internet user an alternative to whatever he or she had searched for (the ECJ implicitly acknowledging that this is a good thing). Finally, and hinting at what would impair the advertising function, the ECJ stated that keyword advertising does not have the effect of ‘denying the proprietor of … the opportunity of using its mark effectively to inform and win over consumers’. The author questions this assertion—it might well deny a proprietor this opportunity if he cannot afford the increased costs of his advertising. The trouble with many of the functions which are ascribed to trade marks following L'Oréal is that they are little more than buzzwords. The ECJ has now given one such buzzword, ‘investment’, some context. The ECJ says that a trade mark may be used ‘to acquire or preserve a reputation capable of attracting consumers and retaining their loyalty’, which sounds suspiciously like saying that a trade mark can attract goodwill. Investment can be made in a mark, says the ECJ, by advertising but also by other (unspecified) commercial techniques. Any ‘substantial interference’ with this goal of reputation acquisition or preservation will amount to an adverse affect on the investment function which a proprietor may prevent. The ECJ adds that, where a trade mark already enjoys a reputation, the investment function is impaired by a use which ‘affects that reputation and thereby jeopardises its maintenance’. Note that there is no requirement here of ‘substantial’ affect, and it is not obvious whether the ECJ is referring to a trade mark which enjoys a reputation in the Article 5(2) sense (see below) or in some other sense. The conclusion here is therefore unclear. In a nod to fair competition, this guidance is qualified by the ECJ's remark that it is not enough ‘if the only consequence of [the] use is to oblige the proprietor of that trade mark to adapt its efforts to acquire or preserve’ its reputation. Again this is hardly clear. Would not the proprietor only be forced to adapt because otherwise his reputation would be in jeopardy or otherwise interfered with? While it is helpful to know something about what some of the myriad functions of a trade mark mean, on this one we remain only a little wiser. Trade marks with a reputation—often termed ‘famous’ or ‘well-known’ marks—gain additional protection under European trade mark law. The Google France cases, and the jurisprudence which predates Interflora, approached keyword advertising from the point of view of the protection given to all marks, not just the famous. That jurisprudence has largely been seen as giving advertisers the all clear to indulge in keyword advertising. However, for the most part, advertisers will bid on the trade marks of their most successful competitors: many, if not most, of the trade marks bid upon will be famous ones. Following the ECJ's judgment in L'Oréal, which came in for heavy criticism from the Court of Appeal in England and Wales and elsewhere, famous brand owners' rights have been significantly bolstered, at least as regards their ability to prevent ‘unfair’ advantage taking. Thus the ECJ set itself up for something of a collision: on the one hand, Google France says keyword advertising—which undoubtedly allows an advertiser to gain an advantage off the back of his competitor's mark—is ok, while on the other L'Oréal regards all forms of advantage taking of marks with a reputation (like the INTERFLORA mark) as unfair. Which side would prevail? Rather than unravel all of the previous Google France-led case law, the ECJ appears to have continued to find in support of keyword advertising, with favourable findings in respect of the limbs of Article 5(2)/9(1)(c) concerning both detriment to distinctive character (or ‘dilution’) and unfair advantage. Dilution is the whittling away, over time, of the distinctiveness of a mark such that it loses its ability to distinguish one trader's goods or services from another's. Interflora's concern was that M&S's practice would cause INTERFLORA to become a generic term for any flower delivery service. The ECJ was not convinced, holding that unless an internet user is confused by an advert, the advert will only serve to present M&S's service as an alternative offering, thereby preserving the distinctiveness of the INTERFLORA brand (an argument not without its counters). This means that dilution is effectively a non-runner in any attack on keyword advertising: if a proprietor needs to show confusion before it can start arguing dilution, it will already have succeeded on other trade mark grounds, and need not bother further. The ECJ noted that keyword advertisers do obtain a ‘real advantage’ from bidding on their competitor's famous brand names, noting that because of the fame of those names, a large number of consumers will search for them and thereby see competitors' keyword adverts. In L'Oréal, the ECJ held that such ‘riding on the coat tails’ of a mark's reputation is unlawful where the advantage taker neither provides financial compensation to the brand owner in respect of it, nor makes its own marketing efforts. This much criticized decision, given to render smell-alike look-alike imitation perfume products unlawful, led the ECJ in Interflora to the inevitable conclusion that keyword advertising also took unfair advantage of marks with a reputation. However, noting that keyword advertising is essentially about traders presenting consumers with alternative products and services, the ECJ chose to save it from unlawfulness as follows. Taking unfair advantage under Article 5(2)/9(1)(c) is only unlawful if it is done ‘without due cause’. Presenting one product as an alternative to another, absent any confusing, dilution, tarnishment, or any other wrongdoing, was fair competition, and so while the ECJ was not prepared to rule that the advantage taken is fair, it did conclude that it was with due cause, and therefore lawful. In doing so it indicated that the harsh approach in L'Oréal might be reserved for ‘imitation’ products, although quite what those are is not clear (see ‘Trade marks: Owners of famous brands given wide rights to prevent the use of their trade marks in comparative advertising’ JIPLP (2010) 5(8): 550–552). With this decision, the ECJ has now covered almost all the bases so far as trade mark law and keyword advertising are concerned. However, it is now for Arnold J and the High Court to apply the ECJ's guidance to conclude Interflora and M&S's dispute. The ECJ has given a fairly clear steer on some points: the author anticipates that M&S will now prevail against Interflora as regards Article 5(2)/9(1)(c), on the basis that it is only taking advantage with due cause so as to present alternative products. However, the ECJ's guidance on the investment function is far from enlightening and the case could go either way on that (although the author suspects Arnold J might be reluctant to give such an imprecise function too strong an effect). Moreover, the unique nature of Interflora as a network, and the ECJ's comment that consumers might find it ‘particularly difficult’ to work out whether M&S is a part of that network, provide a firm pointer to the High Court that Interflora should ultimately prevail under Articles 5(1)(a)/9(1)(a). Arnold J may not agree. Most cases of keyword advertising, however, do not involve brand owners which are comprised of Interflora-like networks. Aside from this complication, it now appears that the ECJ has given the go ahead to ‘normal’ keyword advertising, and most advertisers may now indulge in it in relative comfort. But not everything is perfect. To the extent they have now been defined, many of the functions of a trade mark (such as investment) remain vague and opaque, all but guaranteeing future disputes as to their meaning, whether in the context of keyword advertising or elsewhere. Further, if the internet continues to evolve at the astounding pace it has in the past decade, we may find this entire body of law redundant in five or so years, in which case we shall have to start the whole process all over again when the next big thing comes along. Excellent article! Any idea when Arnord J is expected to hand down the decision? Excellent article! Do you have any idea when Arnold J is expected to hand down the decision? And I am also looking forward to see how Arnold will deal with the "investment function" an/or the "advertising" function. The only thing is dislike about this decision is that the ECJ in my opinion is moving TM-law constantly closer to kind of a "case law", whist TM-law in my understanding should depend on general rules (written down in the directive / TM Acts) and not on case law. Case law for Unfair Competition cases however feels fine to me. Once again, very good article. Congrats!